1896 Birth: Karl Haushofer: Bavarian general and geopolitician who became closely associated with Rudolf Hess and, through him, Hitler. Haushofer had a lifelong interest in magic and mysticism. His doctrine of Lebensraum (Germany's right to living space in the East) became a cornerstone of Nazi ideology. Throughout the 1920s and 30s, he served as one of Hitler's most trusted political advisors. Haushofer's influence declined sharply after Hess flew to Scotland and he committed suicide in 1946 in accordance with the traditional Japanese manner. 1913 Birth: Nina Schenk von Stauffenberg: German wife of Claus Schenk von Stauffenberg, failed assassin of Adolph Hitler. After her husband's failed attempt to assassinate Hitler (von Stauffenberg was executed the night of 21 July), Nina was arrested by the Gestapo and taken into custody along with her children and all other bearers of the Stauffenberg name (cf. the practice of Sippenhaftung). The government placed her children in an orphanage, under false names, in Bad Sachsa, Lower Saxony. 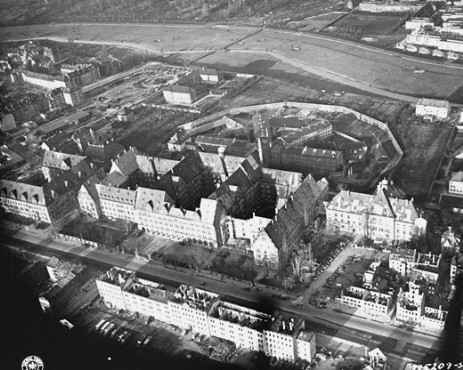 Nina von Stauffenberg (who had been pregnant at the time of her arrest) gave birth to her fifth child, Konstanze, on 17 January 1945, while imprisoned in a Nazi maternity center in Frankfurt an der Oder. That same year, her mother Anna died in a Russian camp. By the war's end, she had been moved to South Tyrol, where she was held as a hostage in return for the redemption of Nazi property. After the war, she was reunited with her family at the Stauffenberg family seat in Lautlingen, Baden-Wuerttemberg. In the post-war era, she applied herself to the harmonious coexistence of Germans and American soldiers stationed in Germany. The Imperial Japanese Navy (IJN) sends a fleet of ships under Vice-Admiral Sadakichi Kato to blockade the coast of German-controlled Kiaochow. 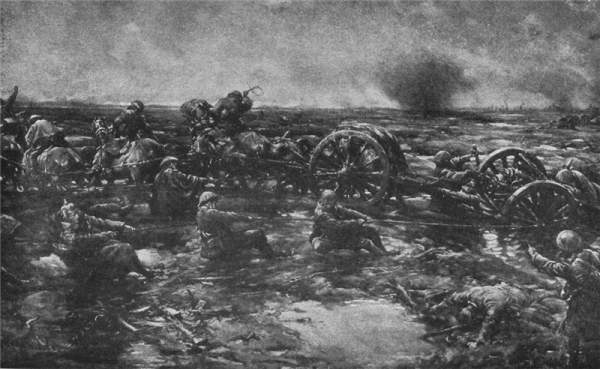 Battle of Le Cateau: French's BEF fights off a double envelopment by the full strength of Kluck's army. The survivors successfully disengage at nightfall. 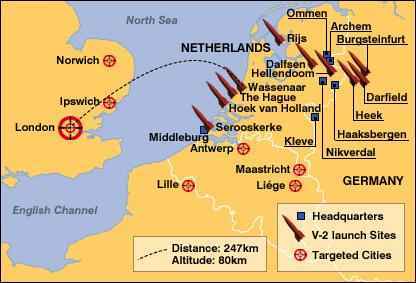 British tactics were similar to those at Mons. The infantry produced intensive and accurate rifle fire, while the field artillery fired air-bursting shrapnel rounds on the unprotected enemy, causing severe losses to the Germans. Many field guns were fired point-blank and over open sights. Some were withdrawn just as the enemy infantry closed in. Balkans: The Allied-Serbian forces in the Balkans are driven back to the Struma River line. The Germans had laid out the part of Serbia they had occupied with little chilli and tomato gardens, and had built Swiss looking chalets on the sides of the ravines. At one place they had built a bath over a natural hot spring. In July it was Rupprecht's army that was the chief threat against us, and it was an army of perhaps 250,000 fresh troops, apart from those in line waiting to be hurled against us if the German Crown Prince could do without them. We knew then that some of Rupprecht's divisions had been sent down hurriedly to his relief, but the question still remained whether the armies holding our part of the battlefront would still be strong enough to attack us or strong enough to check any attempt of ours to advance against them. After that the tide turned in an astonishing way. Austria: Walter Riehl, at a meeting in Vienna, changes the name of the DAP to the German National Socialist Workers' Party (DNSAP). In September 1919 Riehl sends copies of the Austrian Nazi program to Anton Drexler, chairman of the new German DAP. Riehl suggested that Drexler change the name of his new German organization to coincide with that of Riehl's Austrian Nazi party (DNSAP). It fills me with pride to record in general orders a tribute to the service achievements of the 1st and 3rd Corps, comprising the 1st, 2nd, 3rd, 4th, 26th, 28th, 32nd, and 42nd Divisions of the American Expeditionary Forces. You came to the battlefield at a crucial hour for the Allied cause. For almost four years the most formidable army the world has yet seen had pressed its invasion of France and stood threatening its capital. At no time has that army been more powerful and menacing than when, on July 15th, it struck again to destroy in one great battle the brave men opposed to it and to enforce its brutal will upon the world and civilization. Three days later, in conjunction with our allies, you counter-attacked. The Allied armies gained a brilliant victory that marks the turning point of the war. You did more than to give the Allies the support to which, as a nation, our faith was pledged. You proved that our altruism, our pacific spirit, and our sense of justice have not blunted our virility or our courage. You have shown that American initiative and energy are as fit for the tasks of war as for the pursuits of peace. You have justly won unstinted praise from our allies and the eternal gratitude of our countrymen. We have paid for our success with the lives of many of our brave comrades. We shall cherish their memory always and claim for our history and literature their bravery, achievement, and sacrifice. This order will be read to all organizations at the first assembly formations following its receipt. 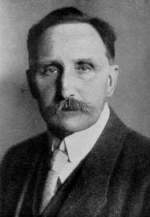 1923 Nazi parties: Hitler and Walter Riehl of the Austrian DNSAP split over strategy and tactics. 1928 The Kellogg-Briand Peace Pact is signed in Paris: Its signatories renounce aggressive war, and war as an instrument of national policy, but no sanctions are provided for violations. Note: The idea of the pact grew out of a request by the French foreign minister Aristide Briand that the United States make a nonaggression pact with France, in case the Germans restarted their military expansionism. US secretary of state Frank B. Kellogg, decided to expand that request into a multination pact that would ban war under international law. After the initial signing, the first such ceremony to be captured on film, nearly every country on earth endorsed the pact. There were two problems with the pact. The first was that it was not stated how the pact would be enforced should there be violations. The second was that it allowed for many qualifications (or excuses), such as self-defense or military alliance (helping other countries in war out of friendship and protection). 1938 General Ludwig Beck, the top Wehrmacht general, resigns in disagreement over Hitler's aggressive foreign policy in general, and Czechoslovakian policy in particular, which he believes will lead to a war Germany cannot possibly win. He encourages those of his peers who are like-minded, and there are many, to join him, but none do. Note: Beck, the most honorable of German generals, will ultimately emerge as the leader of the anti-Hitler resistance. Italy: Foreign Minister Ciano recommends British acceptance of Hitler's latest offer. The German aircraft Heinkel HE-178—the world's first jet-propelled airplane—makes its maiden flight in north Germany piloted by Erich Warsitz. The experimental plane reaches a speed of 375 mph (700 kph). The engine used by the plane is designed by German physicist Hans Joachim Pabst von Ohain. Von Ohain will go on to live to the US in 1947. 1940 World War II: Italy: Caproni-Campini CC-2, experimental jet plane, makes its maiden flight in Milan. On this day in 1941, Prince Fumimaro Konoye, prime minister of Japan, announces that he would like to enter into direct negotiations with President Roosevelt in order to prevent the Japanese conflict with China from expanding into world war. Konoye, a lawyer by training and well studied in Western philosophy, literature, and economics, entered the Japanese Parliament's upper house by virtue of his princely status and immediately pursued a program of reform. High on his agenda was a reform of the army general staff in order to prevent its direct interference in foreign policy decisions. He also sought an increase in parliamentary power. An antifascist, Konoye championed an end to the militarism of Japanese political structures, especially in light of the war in Manchuria, which began in 1931. Appointed prime minister in 1933, Konoye's first cabinet fell apart after full-blown war broke out between Japan and China. In 1940, Konoye was asked to form a second cabinet. But as he sought to contain the war with China, relations with the United States deteriorated, to the point where Japan was virtually surrounded by a U.S. military presence and threats of sanctions. On August 27, 1941, Konoye requested a summit with President Roosevelt in order to diminish heightening tensions. Envoys were exchanged, but no direct meeting with the president took place. In October, Konoye resigned because of increasing tension with his army minister, Tojo Hideki, who would succeed him as prime minister. After the bombing of Pearl Harbor, Konoye was put under military surveillance, his political career all but over until 1945, when the emperor considered sending him to Moscow to negotiate peace terms. That meeting never came off either. Iran: The government resigns two days after a joint invasion by GB and the USSR. Hitler was now fighting a war on two fronts, and though the Soviets were the immediate threat, the British were continuing the fight with characteristic doggedness and with increasing American assistance. It would not be very long before American manpower and particularly industrial would present a threat from the West of comparable magnitude to the massive Red Army. Allied bombing raids siphoned off military resources to air defense, and Hitler needed more submarines to try to cut Britain's lifeline across the Atlantic to the US. Propaganda Minister Goebbels, knowing the truth could not be hidden, shrewdly did not conceal the fact that Germany had taken battlefield reverses, and used them to call on Germans to make heroic sacrifices. Still, there was only so much defeat people could tolerate before their demoralization became irreversible. Germany's weak-tea allies—Italy, Hungary, Rumania—had already had their fill of the war and were quietly looking for a way out. Nearly all pre-war Russia had now been liberated. 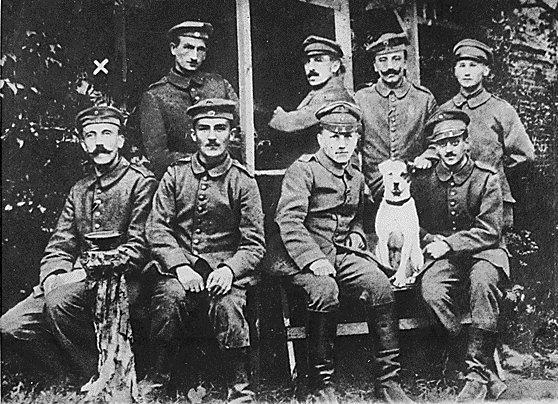 On the 1st, the Polish Home Army launched the Warsaw Rising against their German oppressors. With little help from outside, least of all the Russians, the fight went on through August and September 1944 until the Poles were finally crushed with great brutality. Around 200,000 died by the time the survivors surrendered on 2nd October 1944. Further south the Russians gained a bridgehead over the River Vistula and their forward lines ran along much of the length of the Carpathian Mountains by month's end. Death: Georg von Boeselager: German nobleman. Along with his brother Philipp von Boeselager, he participated in the 1944 July 20 Plot to assassinate Adolf Hitler. Boeselager made plans to assassinate Adolf Hitler during the Fuehrer's visit to Army Group Center HQ in Smolensk on March 13, 1943. Though having distinguished himself in combat on the Eastern Front, and having been awarded the Knights Cross with Oak Leaves, Boeselager claimed he was not up to the task of assassinating Hitler on his own. He volunteered to lead his cavalry regiment to storm the Wolf's Lair and dispose of Hitler in that fashion, however, repeated attempts by Tresckow to get Boeselager's regiment transferred to Rastenburg met with failure. 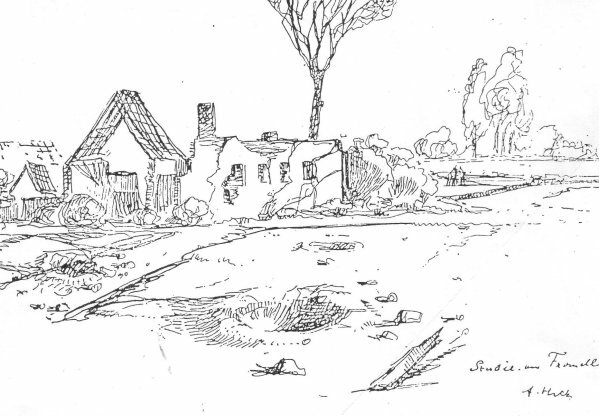 Returning to the front after the failed plot, Boeselager was killed in action against a heavily fortified Russian position on this day. On August 29, he was posthumously promoted to full colonel and awarded the Knight's Cross with Oak Leaves and Swords. Philipp von Boeselager: "We were convinced that even if July 20 had been successful, we would have been hanged because the mass of Germans believed Hitler. They would have said: ’If Hitler was still alive, we would have won the war.' "
The entry of the US Navy into Tokyo Bay is a popular and lively topic of discussion among WW II Navy vets. If we listen to all the sea stories, every ship was 'first into Tokyo Bay.' This is somewhat of a physical impossibility. Units of the US 3rd Fleet (including the USS Boston CA69) and British Pacific Fleet actually entered Sagami Wan on this day, west of Miura Hanto. Tokyo Bay is northeast of Miura Hanto. To a sailor unfamiliar with the area, entering Sagami Wan could be easily mistaken for entering Tokyo Bay. Combine this with the passage of fifty five years and you have the opportunity for some distortion of fact. The first Allied ships entered Tokyo Bay proper on August 28. At the end of the war over six million Japanese were scattered throughout the islands in the Western Pacific and on the Asiatic mainland. Their repatriation became one of the major problems confronting General MacArthur. 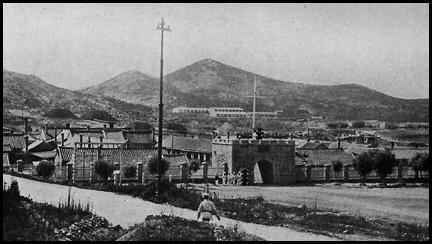 Their early return to Japan was desirable for purely humanitarian reasons as well as for the purpose of easing the economic burden of the liberated countries. In addition, there were approximately 1,170,000 aliens in Japan, many of whom had been forcibly removed from their homelands. Early in September 1945 a large number of these displaced persons flocked to ports in southern Honshu and Kyushu, hoping thereby to obtain preferential treatment for their repatriation. This influx resulted in congestion and created health and sanitation problems. 1946 Nuremberg Tribunal: Two Hundred and Twelveth Day. It has happened more than once in the history of nations that After a war the military leaders of the defeated party were brought to trial. If the defeated war leaders or generals could not be reproached with ineptitude or negligence of their military duties, they were suspected of treason, of pursuing political aims, or they were accused of infringing the rules of warfare or the limitations of their military powers. There is one feature, however, which must be noted: as a rule, trials were conducted and verdicts rendered by their own state, and not by the enemy victors. To find examples for the latter case, one must go back into history by more than 2,000 years. The Romans strangled their enemy Jugurtha in jail, and persecuted Hannibal with their vengeance until they were able to force the cup of poison into his hands at the court of his host. In more recent history, there is the sole example of Napoleon I, who was banished by the victorious powers to St. Helena, where he died; but he was not taken to account by the victors because he had served his country as a French general, but because he was the Emperor of the French, and consequently the political head of his country. Hitler, who was the head of the German Reich, and the Supreme Commander of the Armed Forces, has eluded judicial responsibility by his death. Since he can no longer be dealt with, the Prosecution have taken the highest military commanders instead of the Supreme Commander and head of the State, made them summarily also political leaders, and are attempting in this way to render them responsible. This method is indeed unique and without precedent in the history of nations, and may well be contemplated with peculiar feelings by all soldiers of the world. If one thing stands out clearly from the collection of evidence--and I shall have to deal with this in detail later on--it is the fact that the German military leaders did not dominate their country and did not drive it into the war, that they were not politicians, but exclusively, and perhaps even too exclusively, soldiers--which is the tragic part. Had they been politicians, Germany would not have fallen into this abyss. If we keep this clearly in our minds, it is obvious that these men are in fact facing trial before this Court only, because they served their country as soldiers. Reparations: Negotiations between West Germany and Israel end in Luxembourg; West Germany to pay 3 billion Deutschmark. 1969 Death: Erika Mann: German writer and daughter of Thomas Mann. In 1933, she, Klaus, and Therese Giehse had founded a cabaret in Munich called Die Pfeffermuehle, for which Erika wrote most of the material, much of which was anti-Fascist. Erika was the last member of the Mann family to leave Germany after the Nazi regime was elected. 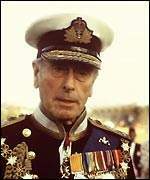 On August 27, 1979, Lord Louis Mountbatten is killed when Irish Republican Army (IRA) terrorists detonate a 50-pound bomb hidden on his fishing vessel Shadow V. Mountbatten, a war hero, elder statesman, and second cousin of Queen Elizabeth II, was spending the day with his family in Donegal Bay off Ireland's northwest coast when the bomb exploded. Three others were killed in the attack, including Mountbatten's 14-year-old grandson, Nicholas. Later that day, an IRA bombing attack on land killed 18 British paratroopers in County Down, Northern Ireland. The assassination of Mountbatten was the first blow struck against the British royal family by the IRA during its long terrorist campaign to drive the British out of Northern Ireland and unite it with the Republic of Ireland to the south. The attack hardened the hearts of many Brits against the IRA and convinced Margaret Thatcher's government to take a hard-line stance against the terrorist organization.